BULLFIGHTER ACCESSORIES There are 19 products. It is the authentic bullfighter hat. It is made in our tailoring taking care of every detail. 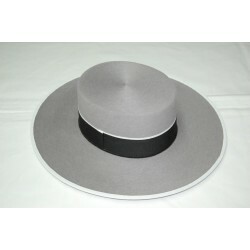 This hat is made to measure and that is why we make them to order. It will be delivered within 15-20 days. 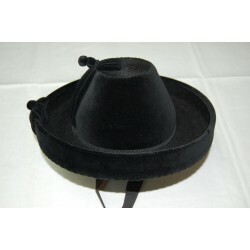 This hat is our option for those people who are keen on bullfighting but they are not professionals. 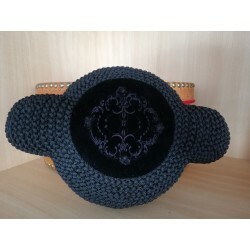 It is made in our tailoring with your head measurement. 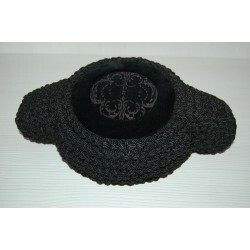 This special black handmade hat is created with high-quality fabrics and rabbit-hair. 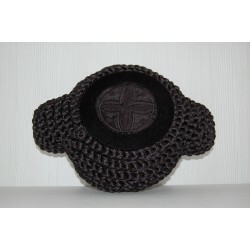 Beautiful hat made in a traditional way with rabbit hair. There are several colours to choose. It is send in a hatbox. This professional bullfighter's hat is made in our tailoring with a thin quality cord which is plaited by us. This one is sewed by hand around the framework that has the requested measure. 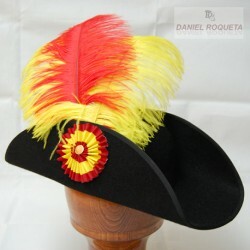 The result is a bullfighter's hat elegant and discreet. It is really becoming.